Above, happy revelers at Hash Bash 2010. This year, 6,000 people are expected to attend the 41st annual smoke-in. After 41 years of epochal parties at the world famous Hash Bash, Michigan finally has a legalization effort in full swing. Activists are, for the first time since Hash Bash began, collecting signatures to amend Michigan’s Constitution and repeal marijuana prohibition for adults 21 and older. 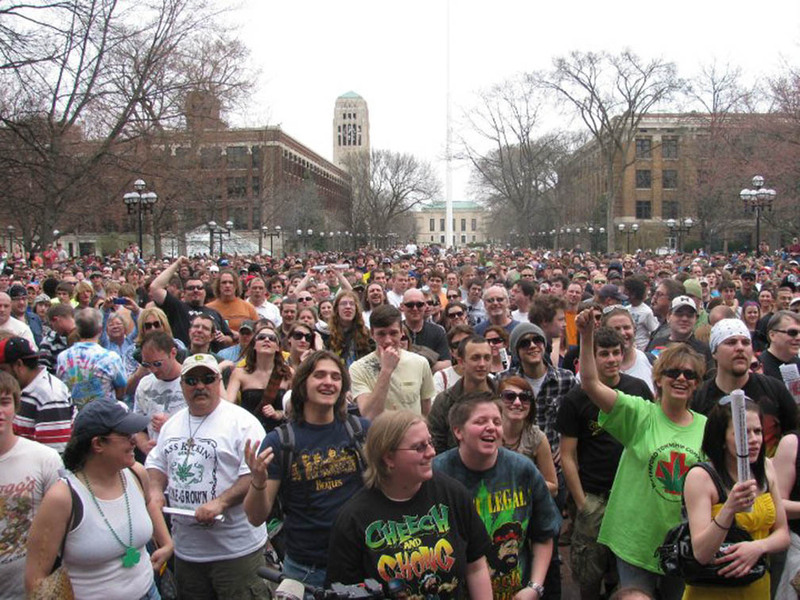 The Hash Bash rally on the University of Michigan Diag began in 1972, after cultural activist John Sinclair was sentenced to 10 years in prison for selling two joints to an undercover narcotics agent. The Michigan Supreme Court declared the law used to convict Sinclair unconstitutional, and ever since, the annual Hash Bash gathering focuses on the goal of reforming federal, state, and local marijuana laws. ​Longtime Hash Bash organizer Adam Brook is incarcerated, so this year the event is organized by three local drug policy reform activists: Ann Arbor cannabis advocate Chuck Ream; Nick Zettell, president of University of Michigan Students for Sensible Drug Policy (SSDP); and Charmie Gholson, founder of Michigan Moms United to End the War on Drugs and editor of The Midwest Cultivator. Gholson and Ream will co-MC the event, which features an additional 30 minutes, an expanded speakers list that includes more women, more people of color and young activists, and national expert and California medical marijuana activist Steve DeAngelo as the featured speaker. The Committee for a Safer Michigan ballot question is a direct response to the interference by state officials to implement Michigan’s Medical Marihuana Act, as well as increasing legal actions against state sanctioned medical marijuana patients and caregivers. The amendment, which renders every anti-marijuana statute unconstitutional, will not apply to or change workplace or driving issues regarding marijuana. Michigan activists are fighting back on many other levels, as well. The state now has five local initiatives up and running in an effort to create “lowest law enforcement priority” for up to one ounce of marijuana, or to legal “enable” dispensaries, or to establish a local “decrim by exemption.” Kalamazoo passed its LLEP initiative by a two-to-one vote in August, and other cities are expected to do the same. Steve DeAngelo, president and founder of the world’s largest medical marijuana dispensary (Harborside Health Center in Oakland, California) and star of the Weed Wars TV show, is flying in from California just to address the expected 6,000 attendees at Hash Bash. 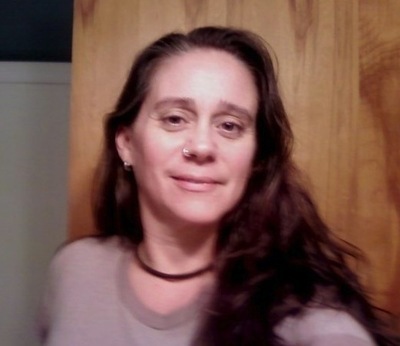 DeAngelo is a phenomenal speaker, an expert on medical marijuana and was founder of Steep Hill Labs, a medical cannabis analysis laboratory for safety screening and quality assurance. Previous ArticleThe Real Dope On Marinol and Sativex + Bonus Stock Tip!